"The Confirmation Project data is convincing. Healthy confirmation programs exist and they can be found in tiny congregations and large program churches across the United States." Today, baptism is recognized as full initiation into the Body of Christ, and with that comes admission to Holy Communion. What remains less clear, as expressed through the diverse practices of local congregations, is the purpose of Confirmation. If confirmation does not complete baptism as Thomas Cranmer suggested in the 1540 Book of Common Prayer, if it is not required to receive Holy Communion, and if it is not the litmus test for membership in your particular denomination, what is it? And, why bother? Four years into a study of youth confirmation in five Protestant denominations, we have some answers! Youth confirmation is a culturally-sanctioned, developmentally ripe season of “faith intensification.” Done well, confirmation equips young people to discern their readiness to “stand up and be counted” (read: make a public affirmation of their faith) as a follower of Jesus Christ in the context of a particular Christian community, tradition, and time. To the extent that parents still expect their children to be confirmed, there is a window in early adolescence with higher than normal expectations for faith engagement, and the Church is foolish to ignore it. As Episcopal bishop Ted Gulick said, “We have been working so hard to include all within the saving embrace of Christ’s cross. Now it is time to disciple the included. Intentional confirmation, teaching and practice grounded in baptismal theology is the Church’s best opportunity to do that.” The Confirmation Project data is convincing. Healthy confirmation programs exist and they can be found in tiny congregations and large program churches across the United States. 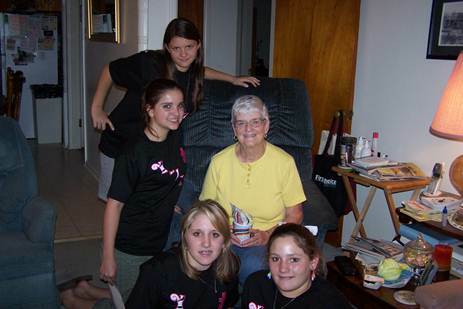 At their best, confirmation programs are intergenerational, congregation-wide commitments. Confirmation is one ministry opportunity for young people among many. The most significant growth in personal faith and confidence occurs when teenagers participate in confirmation in addition to regular faith practices in the home, and participation in other ministries such as youth group, choir, Vacation Bible School, summer camp, and of course Sunday worship. Confirmation cannot be an after-thought assigned to just any leader. Ideally it is led by a dedicated clergy and lay team who are well trained and trusted by teenagers. The leaders must model mature Christian faith and be comfortable engaging in lively conversation about what they believe. 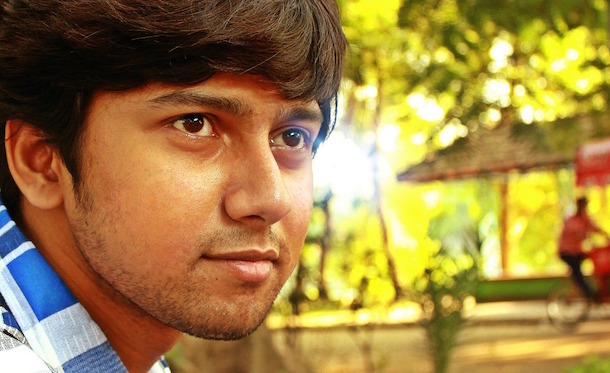 Time is often the more scarce resource than money in confirmation programming. 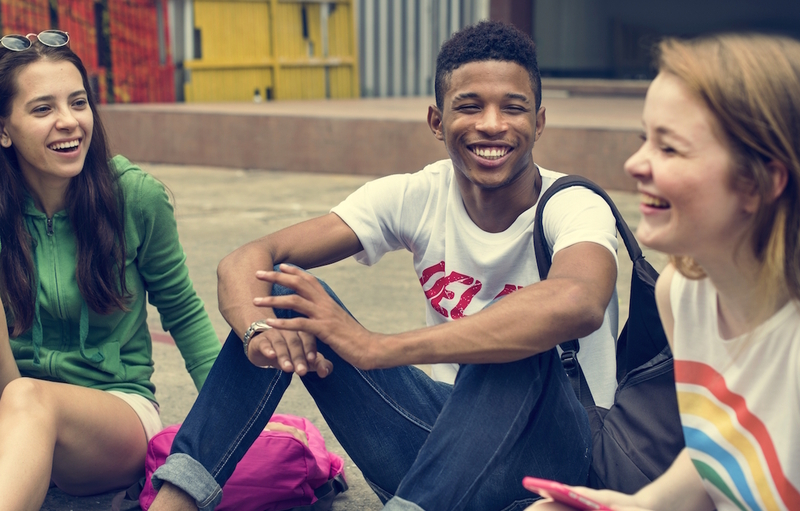 Committing regular time to meet with young people over a long enough period of time to foster authentic relationships and spiritual growth requires prioritizing confirmation. A confirmation program must be grounded in the church’s tradition and theological convictions, while being contextual and responsive to the teenagers in it. 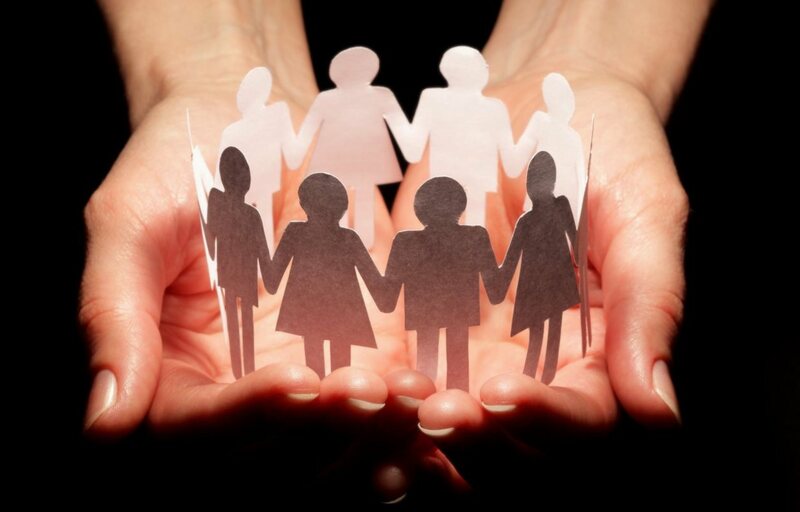 Healthy confirmation programs build on the strengths of the congregation and the lives of people in them. 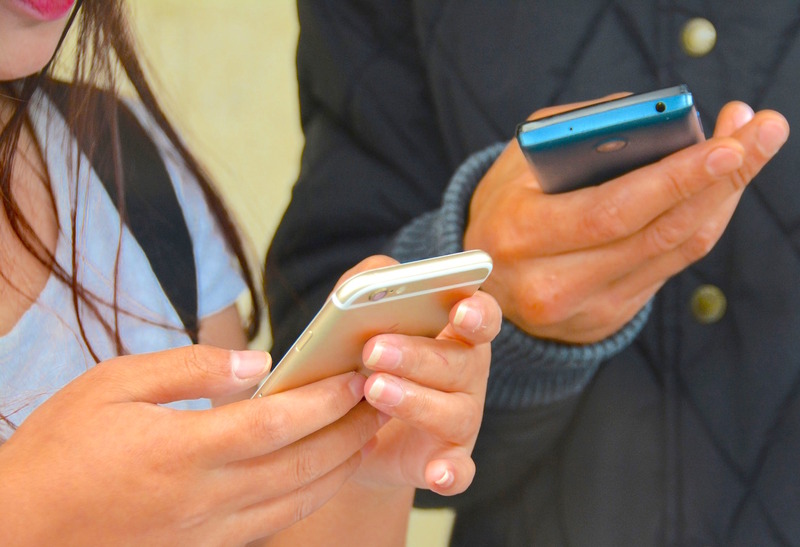 This means being willing to custom-design activities and lesson plans to address the actual faith questions being asked by teenagers, use the gifts available in your congregation, and respond to current events that demand a reasoned, faithful response. What happens between and among youth and adults in a confirmation program is more lasting and transformative than any content in the printed curriculum. A climate of compassion and mutual regard that welcomes all as beloved children of God, expecting greatness and goodness, makes Gospel-centered community a life-giving choice. 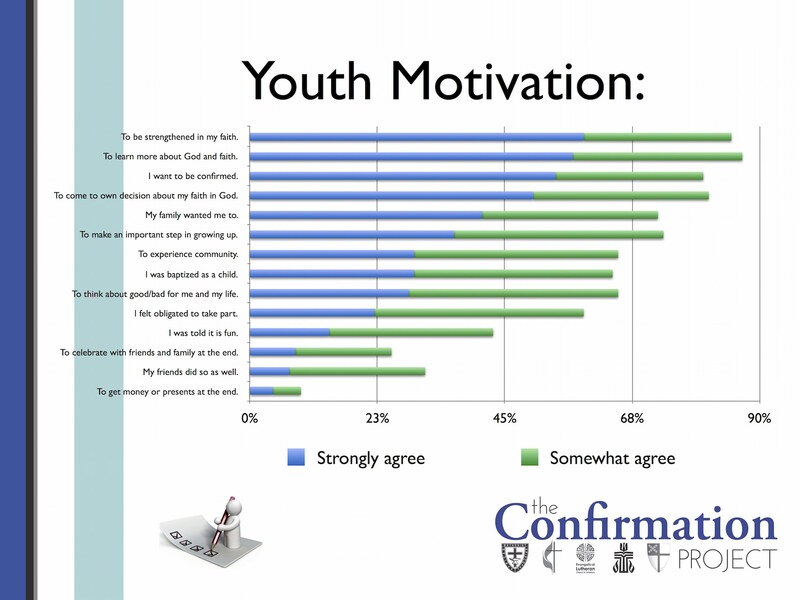 This may come as a surprise to some, but the data shows that teenagers are already motivated to participate in confirmation. 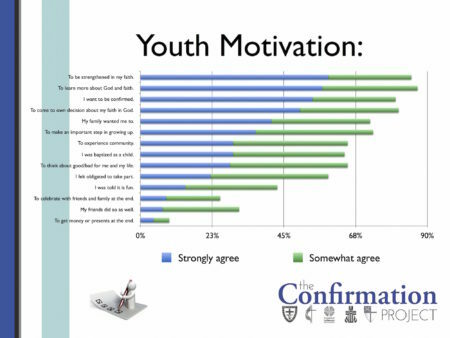 As this bar chart indicates, by far the majority of young people attending confirmation programs want to be there (not just because their parents or their church expect them to). 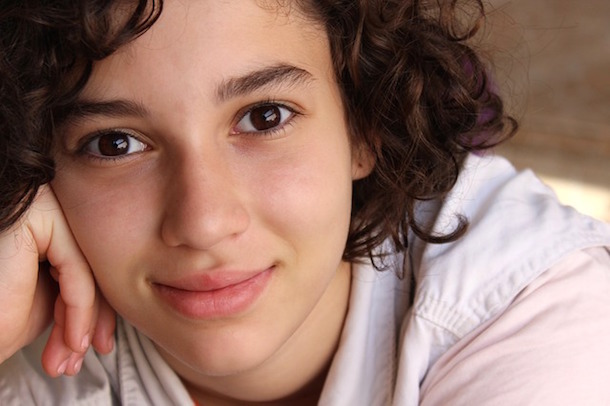 When young people feel seen and heard, their faith readiness becomes apparent. Valued, confirmands become engaged in authentic community where deep examination of belief and practice matter. Such a dynamic climate sustains a confirmation program, strengthens the host congregation, and retains youth after they are confirmed. For more detailed findings from our research (and some shareable infographics) visit our website www.theconfirmationproject.com or follow The Confirmation Project on Facebook. Lisa Kimball, Ph.D. is the Associate Dean of Lifelong Learning and Director of the Center for the Ministry of Teaching at Virginia Theological Seminary. Her teaching and research focus on faith formation – the making of Christian disciples across the lifespan – as the fundamental and urgent work of the church. Lisa is a steering team member of the Confirmation Project, a multi-year, multi-denominational research project which "seeks to learn the extent to which confirmation is effective for strengthening discipleship in youth."